The Army now gets a free hand to decide over reopening of the roads. It said the decision on opening or closure of roads will be taken after getting feedback from the Local Military Authority on whether roads “can be opened for civil traffic completely, selectively or as in the past” said the order. 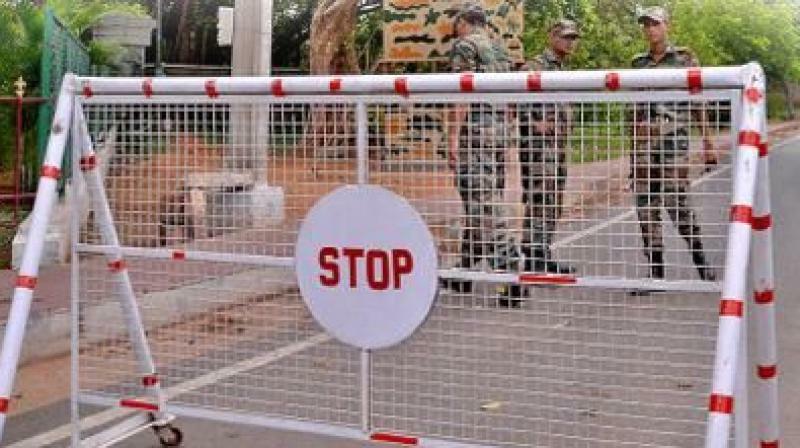 Hyderabad: Diluting its earlier order on reopening of all cantonment roads, the ministry of defence on Monday issued a fresh circular empowering the Army to impose restrictions in certain circumstances. The order has come as a shocker to those who were still expecting the LMA to reopen the roads in th SCB area. The Army now gets a free hand to decide over reopening of the roads. The development comes a day after defence minister Nirmala Sitharaman said she was willing to meet wives of Army officials, who had expressed concerns over security after the reopening on cantonment roads. The defence ministry said Army officials and scores of families living in the quarters were under apprehension that the reopening of roads may lead to a security situation or traffic congestion. “It is clarified that this is a deliberate, calibrated and monitored exercise. The aim of opening roads in cantonments is to streamline the process of closure where required after carrying out an assessment of the nature of traffic moving through cantonments by following due procedure”.